European Union has introduced common measures in the areas of greenhouse gas emissions, renewable energies and energy efficiency since early 1990s. In 2007, EU leaders worked out a new set of key targets to ensure the EU meets its climate and energy targets for the year 2020. Among several LPWAN (Low Power Wide Area Network) technologies which enable low-power and long-range communications, LoRa® technology is often considered as offering the most effective bi-directional functionality, end-to-end security, mobility and localization services. LoRaWAN™ network is designed to connect low-cost, battery-operated sensors over long distances in harsh environments, thus being the perfect choice for suburban areas. With its unique penetration capability, a LoRaWAN™ gateway can connect to sensors more than 10 miles away or to meters deployed underground or in basements. While developing gas meter sensors product line, Nordic Automation Systems (NAS) has taken the regulations the EU has set for its Member States very seriously. 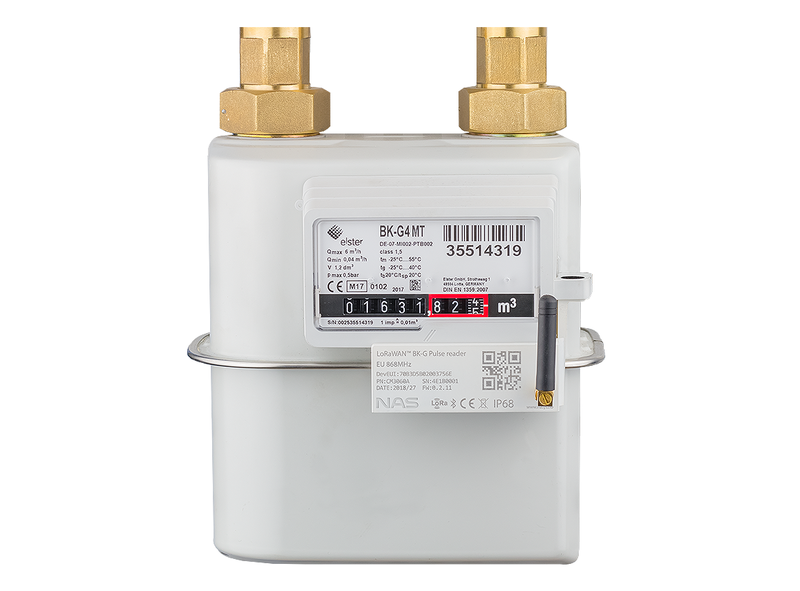 With LoRaWAN™ Absolute Encoder Communication Module and LoRaWAN™ BK-G Pulse Reader designed for numerous Honeywell (Elster) gas meters and LoRaWAN™ Pulse Reader for universal use, NAS covers 90% of the market. Sensors provide detailed energy consumption information transmitting small messages at a frequency once a day or every hour (in specific cases even more frequently). Data gathering starts automatically after the sensor is installed to the server and may be configured according to each unit. The LoRaWAN™ module helps to optimise the usage of natural resources in the gas metering industry and gain substantial productivity. For more information about our solutions please contact us at sales@nasys.no.